For weeks, Disney California Adventure park guests have marveled at the new “Glow With the Show” Ears, which magically interact with “World of Color,” Mad T Party and other areas of the park. The technology behind the ears has been a mystery, until now! Check out the video below to learn how these new ears work their magic. These would be amazing in WDW would be amazing with ousbourne family lights . How much do they cost and can i get them outside of the DL park? The “Glow With the Show” Ears are $25 and can be purchased throughout Disney California Adventure park (and soon they will be available in Disneyland park). 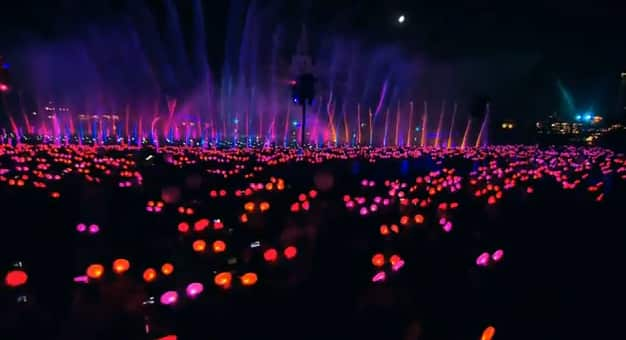 I’ve never been to Disneyland but I have to say that the World of Color show looks absolutely amazing! I would love to see that in person. The light up mouse hats are really cool too and add a lot to the show, while drawing everyone into it personally. This is the sort of thing that makes Disney parks so much better than any other parks. The technology and innovation draw you in but then there’s the emotional pull of the stories, rides and show that makes you fall in love with them. I can’t wait to go back to WDW again but I’d love to go to DL and see this too. I’m amazed that its powered by IR, when I bought my ears they seemed like they functioned on a wireless frequency. Where are the IR beams being transmitted from. Also this means that it will be a whole lot easier for me to figure out how to control my set of ears while at home. @Janet Talking from experance the ears cause the show to be more magical. At times you look more at the ears than the show. Surprised to see it’s based on infrared. I guessed RFID chips. Still, it’s amazing. Heck, these things could be activated remotely, say through a Disney channel show to glow in sync with the tv. As for WDW, the number of ways this could be used is astounding. 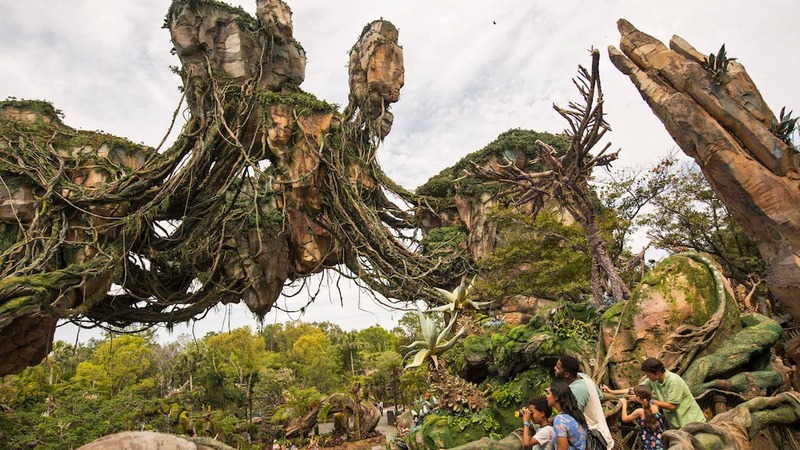 Almost every show in the World could be hooked into the system, with a WOC show built to surround the Tree of Life in AK. “Rivers of Light” anyone? Mood lighting in its a small world, pale lights in Haunted Mansion, Illuminations: Reflections of Earth synced to the fireworks… the list just goes on and on and on. And ears are probably just the beginning. Wristbands, belts, backpacks… heck, Tron costumes. You’re Imagineers, and the best in the business. You’ve been handed the keys to a very versatile technology. Push that envelope with it! This is such an amazing video and idea! I wish Walt Disney World can have this for one of their shows! Will these ears still be around come late Sept.? I know you can get passholder packages through early Sept, but does that mean the ears will be going away for purchase? If so can you buy now if you don’t live near DLR? Adam – There is no planned end date for the “Glow With the Show” Ears, so you should be able to grab a pair during your next visit. That is amazing! I can’t wait to to check it out! These Glow with the Show ears are such a cool idea. I think slowly but surely they will catch on with the more casual guests. Robert – That has happened to me as well from time to time. I’ve found that if I turn them off and back on, they will sync up. I can see this technology happening with the WDW MK Castle show!! This is truly awesome! Amazing! I’d love to see something like this happen at WDW. Illuminations is being updated, I think I see an oppertunity there. WoC is an amazing show made even more astounding with these ears. Great innovation, wow! Hurry up add it to Fantasmic and the Fireworks at DL! And maybe to MMY! Thanks for the info. I was wondering what type of signal you used for the ears. Congrats to your engineers for coming up such a nice device! Looks amazing. I hope they have something like this at WDW soon.